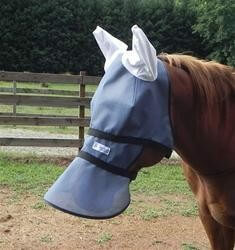 Protects you horses eyes as well as nose with 90% UV protection. Acts like a fly mask also and protects the eyes from sun damage. 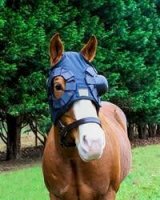 If your horse has moon blindness or Uveitis you know you have to keep them out of the light. 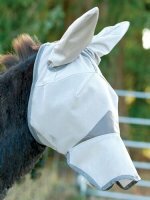 Great shade that is designed to flare away from the horses face for comfort and horses can graze and drink easily. 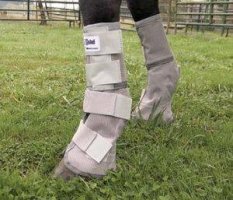 Generally we suggest the sizes go with the horses halter, bridle, or fly mask size.